As The D-Day is finally here. Yakata sales have started on Konga.com. 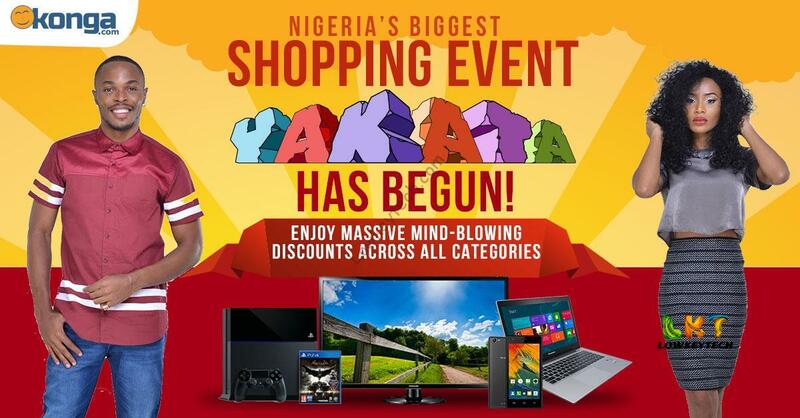 Visit www.konga.com/yakata, to access the mind blowing discounts on Konga.com all of Thursday the 26th and Friday the 27th of November, 2015. You can finally stock up on those items you’ve been waiting to buy. There are loads of amazing deals across all categories. You’ll find microwave ovens at just N10,000; washing machines at N10,000; Samsung LED TV’s at N39,500; 7 inch Bryte tablets at N15,000; kitchen bundles for N6,400 with thousands of stylish fashion items selling at discounts of up to 80% off…and so much more. One star product to look out for is the brand new Alcatel Popstar android smartphone. The phone is available exclusively, and for the 1st time on Konga, for a Yakata price of N15,900, an unbeatable deal for an android phone of such great specs. Check it out in white and silver. Also look out for GPP, The Gadget Protection Plan, which you can get in addition to gadgets bought this Yakata. GPP is coverage providing free repairs for accidental damages and other device problems after-purchase – to give yourself extra peace of mind. The GPP comprehensive service plan is provided by SuperGeeks and covered by Cornerstone Insurance. Finally, remember you can also get an extra 5% off if you check out using KongaPay. Hurry to grab all the exciting deals. Don’t wait till the item you want sells out. Visit www.konga.com/yakata right now before the deals run out! The D-Day is finally here. Yakata sales have started on Konga.com. Visit www.konga.com/yakata to access the mind blowing discounts on Konga.com all of Thursday the 26th and Friday the 27th of November, 2015.